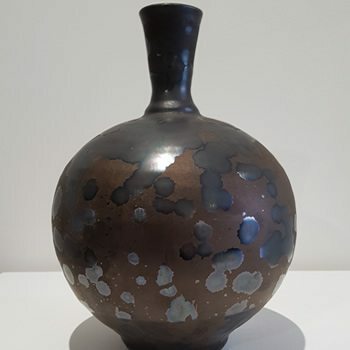 Opening Fox Galleries at it’s new location in Collingwood, Melbourne is Director’s Choice, a duo exhibition by Rowley Drysdale and Barry Tate. 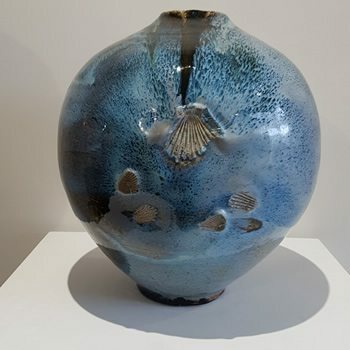 Both artists have known the gallery’s Director, Michael Fox, for many years, professionally and as friends. 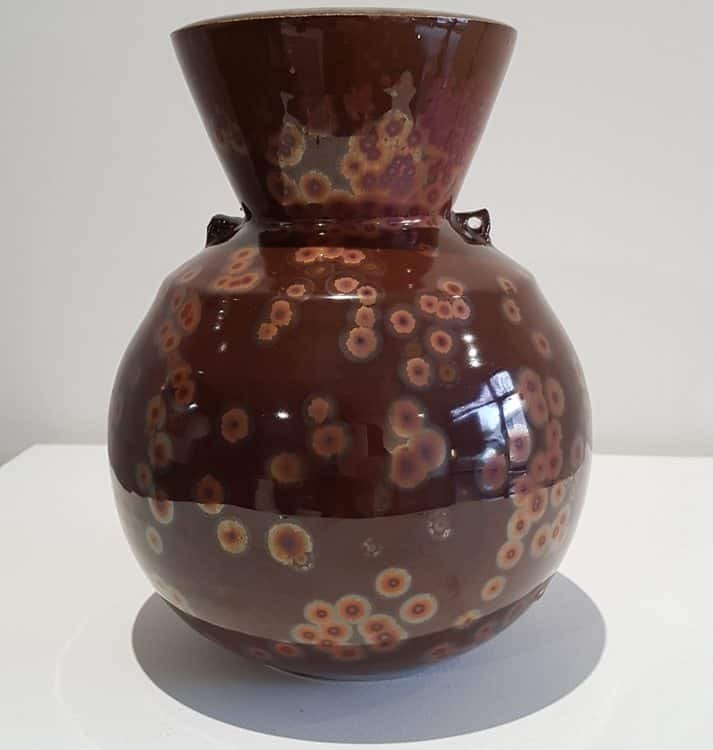 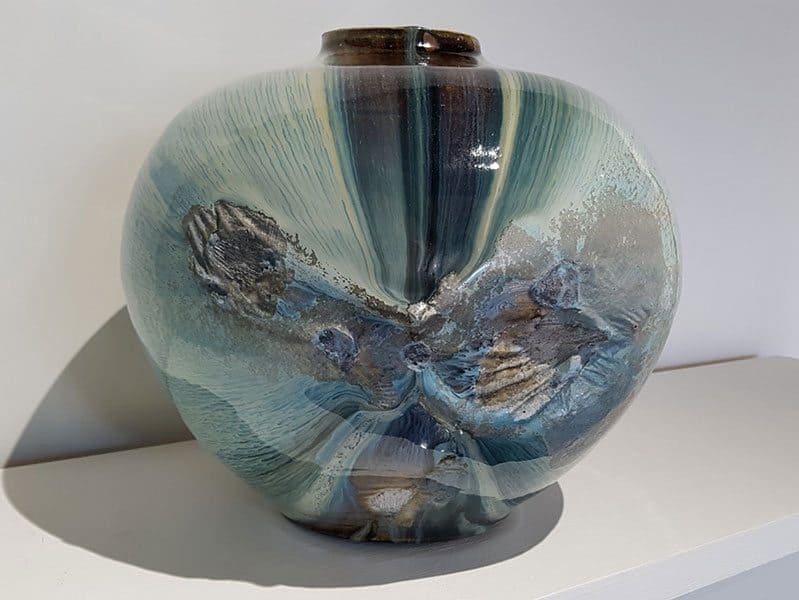 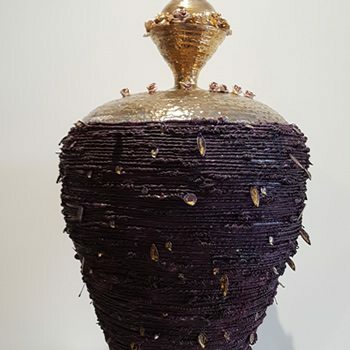 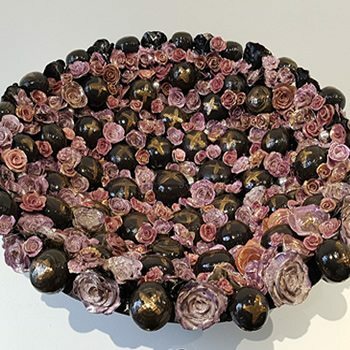 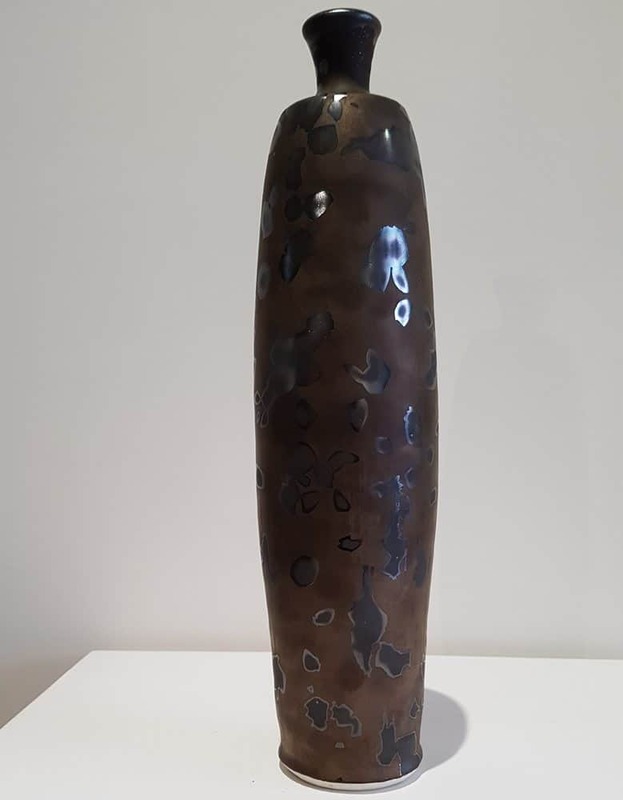 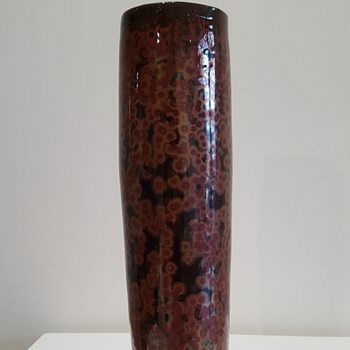 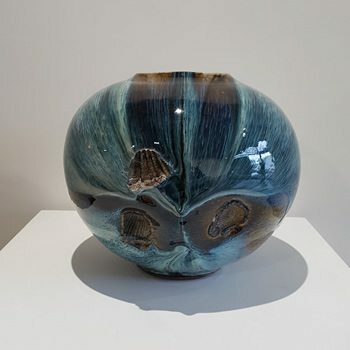 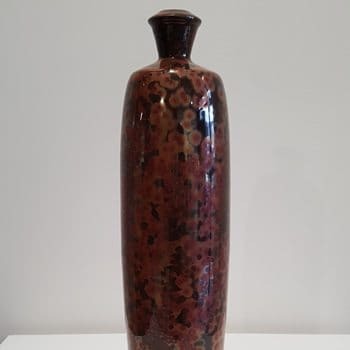 Both artists are based in regional Australia, use ceramics in their practices and are teachers who share their craft with the next generation. 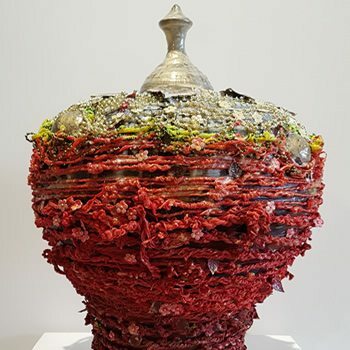 Director’s Choice brings these artists’ works into conversation, inviting an exploration into their overlaps and remarkable differences. 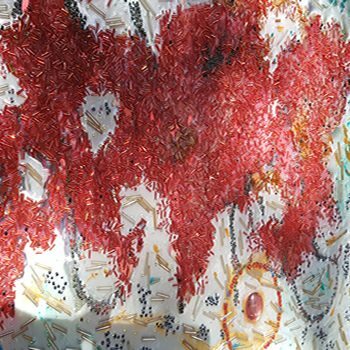 Tate’s practice leans towards heterogeneous experimentation. 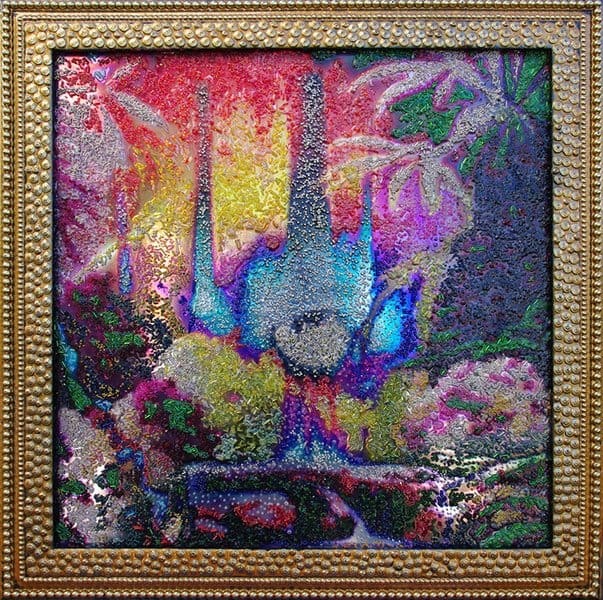 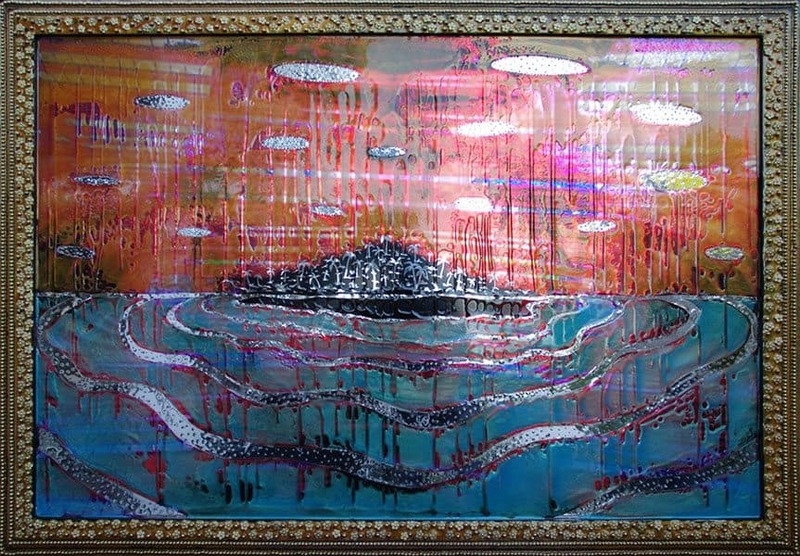 The Journey, 2016, a mixed media wall work with fibre optics and multi-coloured beads offers a near hidden glimpse of Tate’s father Jack, who passed away earlier that year. 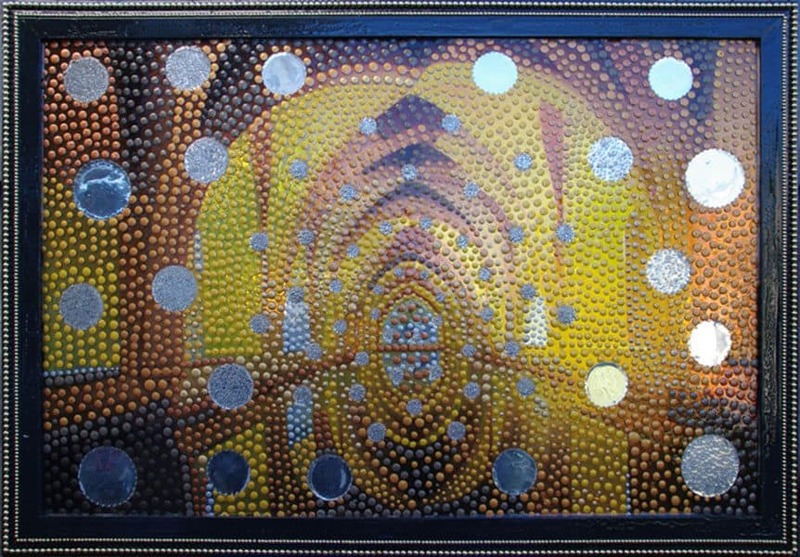 Other wall works made in 2014, Paradise Lost and Neo Nature, employ metallic hues to envision hyperreal landscapes while Cathedral transforms the inside of a church into a reflective portal. 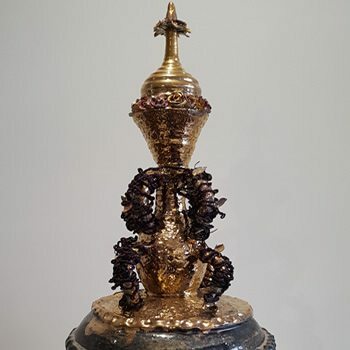 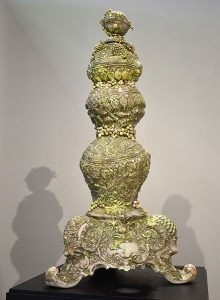 Tate’s sculptural works such as Exciting Times, 2016 resemble pots, urns, church spires and temple roofs, all pointing to the the meaning we imbue into objects, buildings and forms as sites to perform rituals, process loss and contemplate our existence.